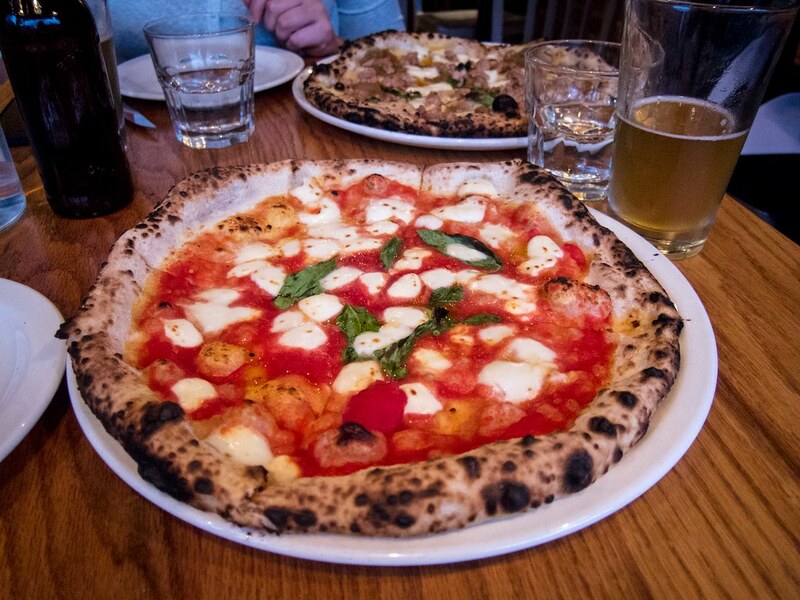 Pizzeria Libretto specializes in Neapolitan pizza and can usually be found on lists celebrating the best pizzas in Toronto. I do not know pizzas. I like to eat them, but my tastebuds are not discerning nor knowledgeable. 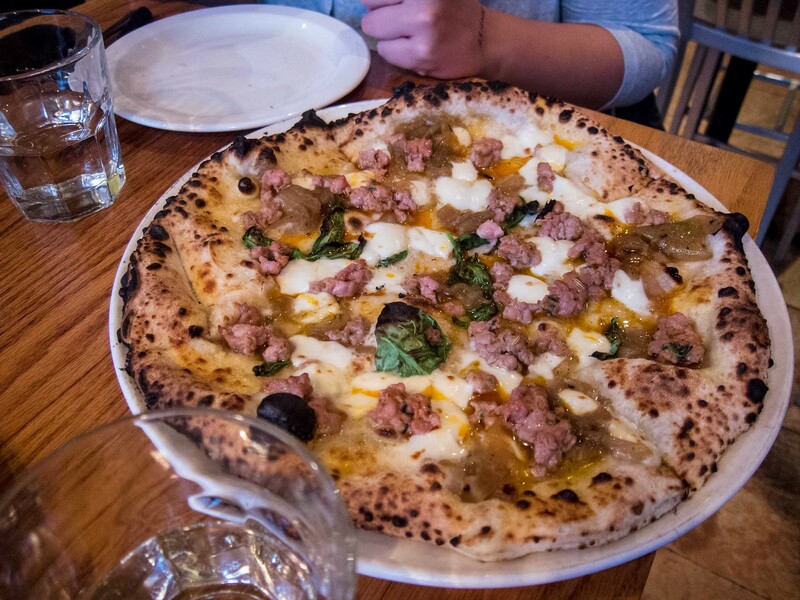 I do know that the pizzas I ate at Libretto were delicious, tender and full of flavour. For me, there’s nothing more I could ask for. Atmosphere: My friend and I stopped by Libretto on a Tuesday night. Originally, I had planned or arriving at 5:30pm but after a multitude of TTC delays, we walked in at 6:15pm. There were still tables available and we didn’t have to wait, but as we left close to 8pm, a line of diners were queued out the door. 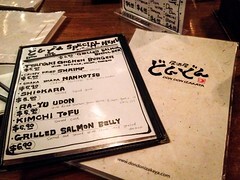 The restaurant was cozy and comfortable with solid wood furniture. 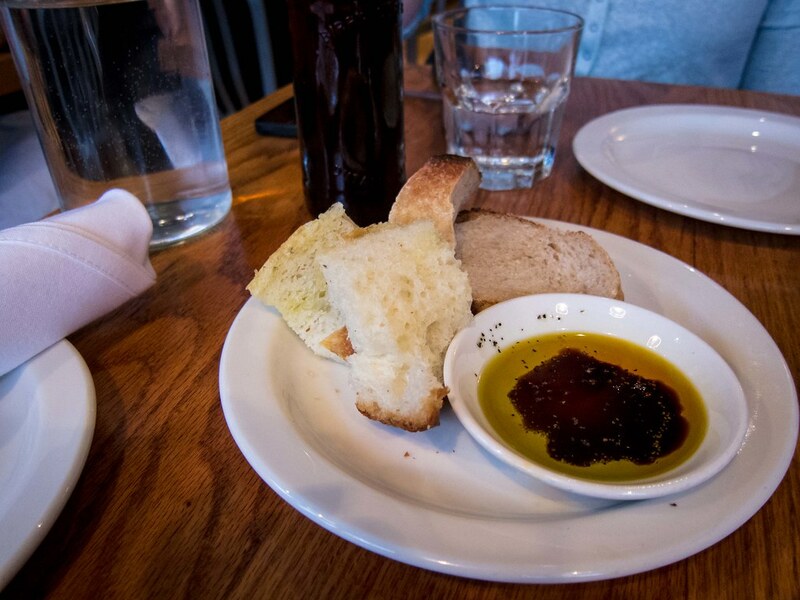 Libretto would be a great date spot or catching up with friends. 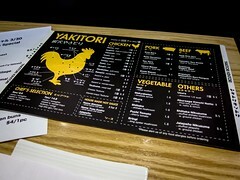 Service: Our server was friendly and efficient. She knew the menu well and helped us pick our pizzas, which arrived warm from the oven. Throughout our meal, our waters were kept filled, she kept an eye on our beers and offered lots of smiles. Food: With wedding diet in full swing, I had prepared for dinner. Meaning a meager lunch and plenty of room left for all the pizza. My friend and I ordered two pizzas to split, a classic Margherita D.O.P. and a House Made Sausage. 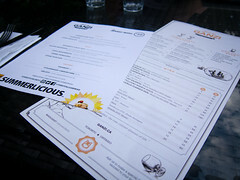 Between the two, the Margherita was my favourite. The full flavoured tomato sauce, fresh basil and generous globs of melted mozzarella were all perfect. 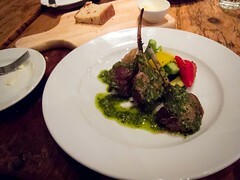 Simple ingredients creating balanced, traditional flavours. The House Made Sausage pizza was topped with chunks of sausage, caramelized onions, chilli oil and mozzarella, no tomato sauce. This topping combination was much more savoury and rich. While still delicious, I found I missed the sweetness of a tomato sauce. Both pizzas were cut into quarters and the crust was thin and tender. So thin and tender that the slice did not have enough structural integrity to be picked up. A knife and fork was needed to eat a few bites from the centre first. 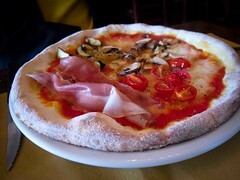 Overall, the pizza was tasty, light, made with fresh ingredients and I had no problem eating a whole one by myself. 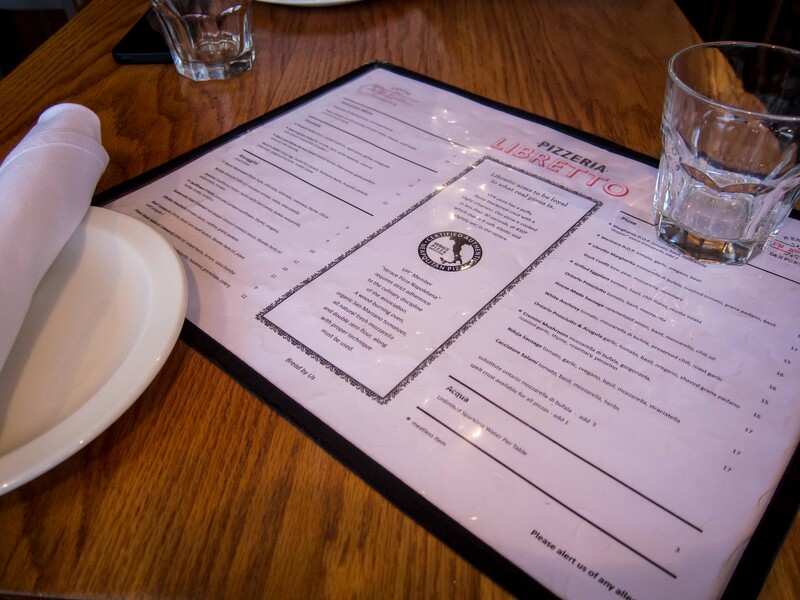 If the restaurant is busy, Pizzeria Libretto also offers take out on their full menu of pizzas.